Bethesda has confirmed that Doom 4's development cycle restarted in 2011. We gamers can get pretty annoyed when a publisher churns out annual releases, but it could be far worse. Some of the biggest flops in our medium are actually those delayed far beyond an initial release date, such as Aliens: Colonial Marines or Duke Nukem Forever. While not a death sentence, it certainly makes one wary of games like Doom 4, which was announced in 2008. Bethesda recently confirmed the game's development was completely restarted in 2011, meaning that id Software is building everything from scratch. Far more concerning, however, are statements from anonymous sources that work on Doom 4 was hindered by conflicting priorities and a divided work culture. On the official side of things, Bethesda's Pete Hines provided a statement as to why Doom 4 needed a reboot in the first place. "An earlier version of Doom 4 did not exhibit the quality and excitement that id and Bethesda intend to deliver and that Doom fans worldwide expect," Hines said. "As a result, id refocused its efforts on a new version of Doom 4 that promises to meet the very high expectations everyone has for this game and this franchise. When we're ready to talk about the Doom 4 id is making, we will let folks know." Outside of official statements, the problem could run a little deeper. According to Kotaku, multiple anonymous sources claim that a lack of studio leadership has greatly impacted work on Doom 4. While management was focused on Rage, Doom 4's development team introduced gameplay tropes and conventions that didn't really fit with the franchise. 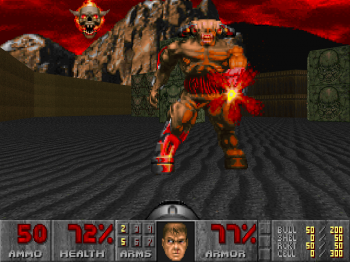 When publisher ZeniMax finally inspected the game's progress, they discovered what id jokingly called "Call of Doom", a sequel containing heavy use of scripted sequences and an obligatory vehicle section. ZeniMax responded by shelving Rage 2 so id could refocus its efforts on Doom 4. As frustrating as the delay may be, starting from scratch can be beneficial if one embraces a new direction. Unfortunately, Kotaku's sources suggest that such opportunities were short-lived. Managers from the Rage and Doom 4 teams have had difficulty integrating, leading to internal struggles and, eventually, a staff exodus. Most of id's top talent has reportedly quit or been fired, and continued work on Doom 4 is suffering as a result. "It's not going well," one source said. "Poor management, poor organization... [id] just couldn't nail down design... It's just a mess." We probably won't know how accurate the reports are until we're closer to Doom 4's launch. Unfortunately, no release date has been set, and John Carmack himself stated that Doom 4 will be "done when it's done". On the other hand, Carmack also reportedly told the dev team that "Doom means two things: demons and shotguns," so maybe there's hope for id yet.